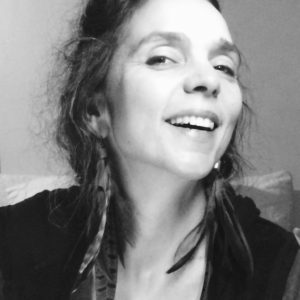 Build teams, deepen bonds; discover surprises; share the real you; encourage trust; strengthen family, intimate or professional relationships! 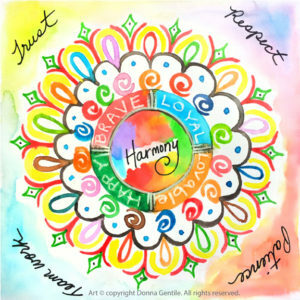 The Harmony Mandala is an exercise in partnering, teamwork, leading, following, trust, respect, patience and honing skills in diplomacy—dealing with people without offending or upsetting them. 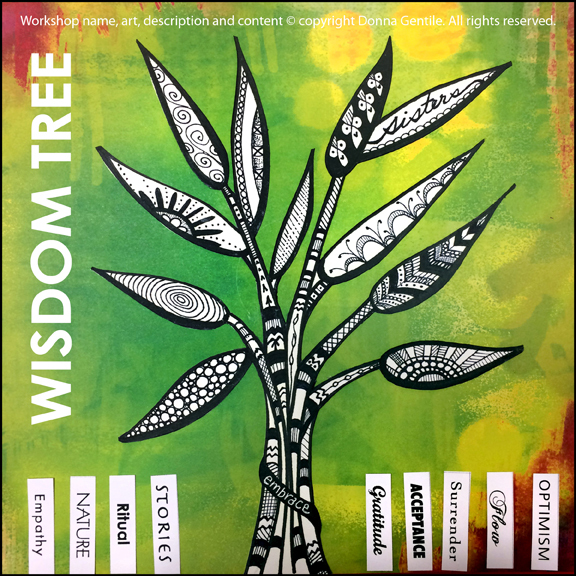 Ideal for professional and personal applications, this workshop can help strengthen teams, groups, partnerships, businesses and families. Unique characteristics and individual qualities are highlighted. 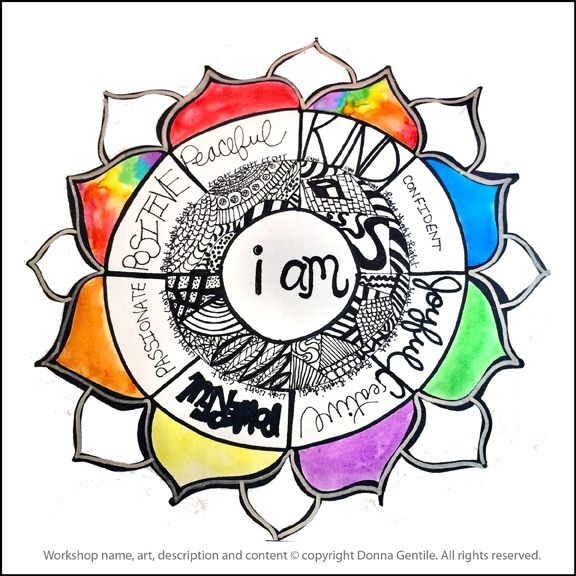 Teammates work together to determine core values and the focus of their mandala while taking turns leading and following. Larger teams or families are best broken down into smaller groups of two to four people. 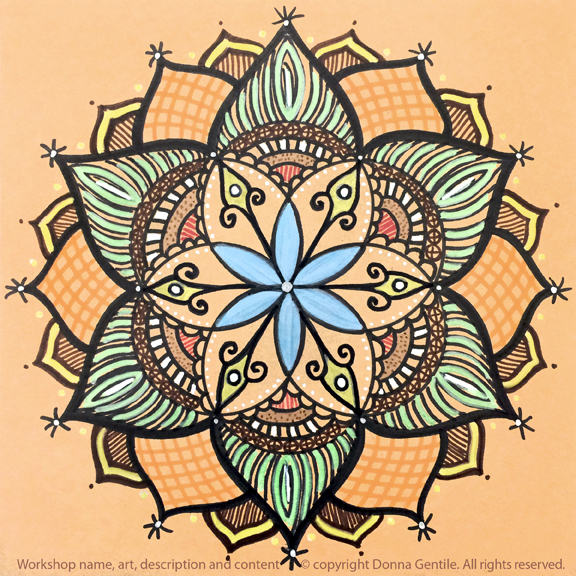 Additional mandalas are provided for coloring in cases where individuals work quickly and have finished their Harmony Mandalas or are waiting for their turn and need a filler activity. 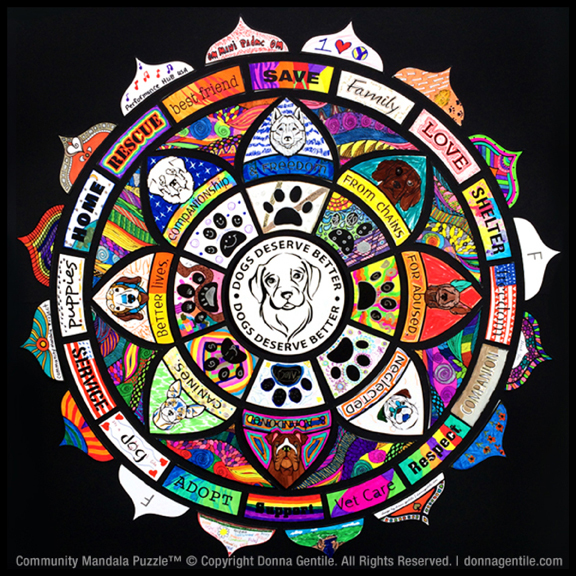 Groups may choose to work on one mandala per group or one per person depending on the goals of the group. 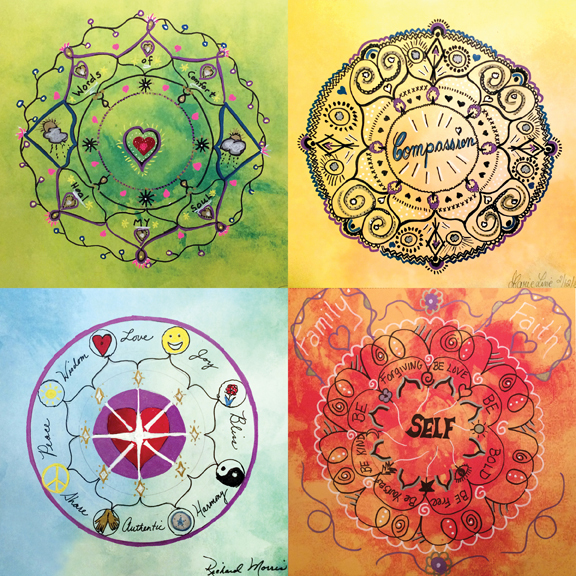 Participants leave with a 12″ x 12″ watercolor mandala full of meaning and a new practice in mindfulness that is relaxing, restorative, fun, inspiring and thought-provoking. All materials are provided. No experience necessary.